It isn’t rocket science! You’ve probably heard or read it a million times but I’ll repeat it again anyhow; in order to lose weight you have to burn off more calories on a daily basis than you consume. You aren’t going to achieve this snacking on pizza or snickers bars. 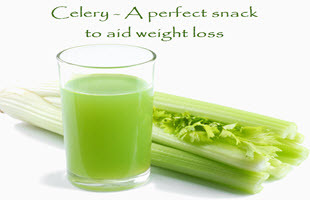 Celery on the other hand and other fruits and veg will definitely help you achieve your weight loss goal. Not only is celery great for juicing – because of it’s great taste and high water content. It is also one of the best vegetables you can eat to aid in losing weight. Celery is very low in calories, around 15-20 calories in one cup. Compare this to 100g of snickers which is a whopping 488 calories. Celery is also full of fibre and has a high water content so it is going to make you feel fuller for longer. The fact that is has a high water content is also going to ensure that your body is fully hydrated. As we all know, it is crucially important that we drink plenty of water when trying to lose weight. Snacking on celery sticks will only help towards this aim. Fiber is an important part of any diet and the amount we consume can help with dropping those extra pounds. There is around 1.6 grams of fibre in one stalk of celery. That is a relatively high amount for such a low calorie intake, so you are going to feel as if you are full up much quicker, which will also help avoid the urge to snack later in the day. Although celery is NOT jam-packed with vitamins and minerals it does have a good source of anti-oxidants in addition to vitamins and minerals such as vitamin C, vitamin K, folate, potassium, and vitamin B6. All these can give you a real health boost. No doubt the healthier you feel the more your mood will be lifted and the less chance you are going to binge on fast foods and snacks. All in all celery is one of those foods you should eat of you want to lose weight. Try it on a salad or with a low-calorie dip. 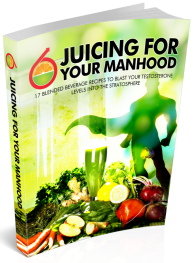 Click here to check out 5 great juicing recipes that contain celery.